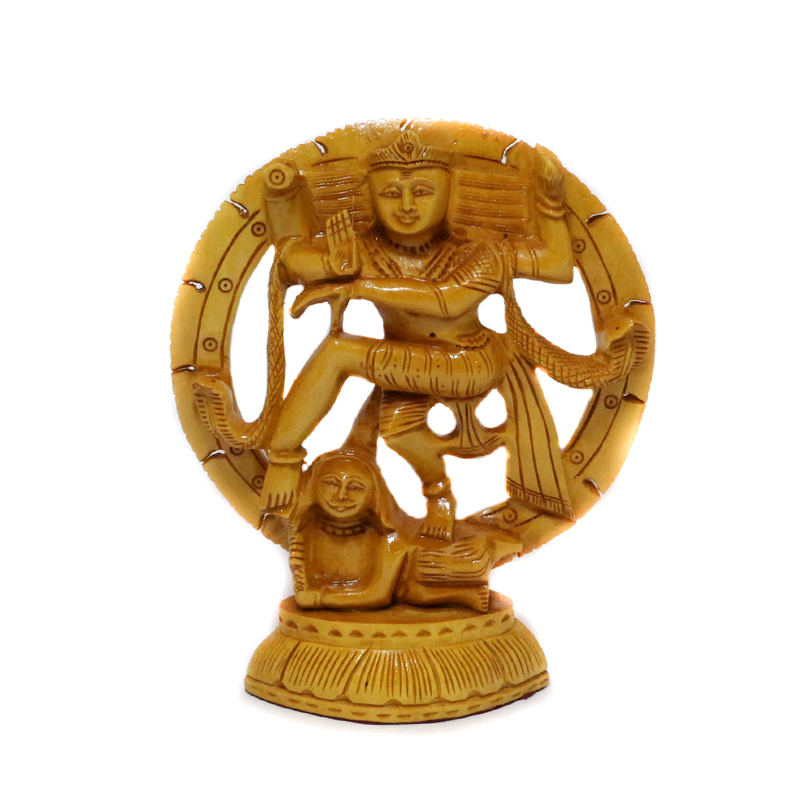 this particular product made out of wood resembles the power of Shiva In his Nataraja posture. The colour of the wood here is golden yellow Read More..with a circular frame representing the aura of the Lord, with Shiva in his 'Tandava' roop at the center of the framework. this product can very well be a house-welcoming present. Show Less..